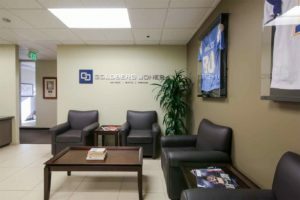 Goldberg Jones is a local office of San Diego divorce attorneys serving all of San Diego County. The firm also has offices in Washington and Oregon. We focus our representation on husbands’ and fathers’ rights. Whether you need a divorce attorney because you have been served papers, or would like to consult with a divorce lawyer, call Goldberg Jones for more information.Many men are not ready when bad news comes. There are serious issues to consider, including child custody and child support. As a place to start, call one of our San Diego divorce attorneys at 1-800-DIVORCE. Goldberg Jones opened their doors January of 1996. Founding members Bill Goldberg and Rick Jones realized a need for husbands and fathers in the Seattle area to have a legal resource and a firm that would champion their rights in Divorce, custody, child support or other family law matters. Clients agreed! 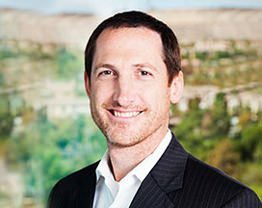 Opening the San Diego office proved to be an easy task with Managing Attorney Zephyr Hill at the helm. With his thorough demeanor and keen eye for talented attorneys, he has facilitated a mirrored growth that Goldberg Jones has come to expect. Even though each state’s law is different, the collective offices of Goldberg Jones have created a synergy, with each benefiting from the other and a clear course charted for continued success. Goldberg Jones has grown from a three person startup, to a multi-state firm with well more than 25 attorneys devoted solely to the practice of family law, specifically, the representation of husbands and fathers. We believe we correctly saw the need for a man’s voice to be heard in family law courts, but we are truly humbled by the continually increasing flow of men who choose to have us be part of their team. We take seriously our obligation to continue to provide the level of service, compassion and results that have made us perhaps the largest firm of its kind catering to men’s family law needs. Thank you!